Perhaps one of the most frequently asked questions we receive is about the roles and responsibilities of board members. The next question that usually follows is why do I even have to have board members? We are going to provide a very simple and basic overview of the roles and responsibilities of board members using a hat as a metaphor for a specific role. Board members wear three hats within an organization-a legal hat, an ambassador hat and a volunteer hat. 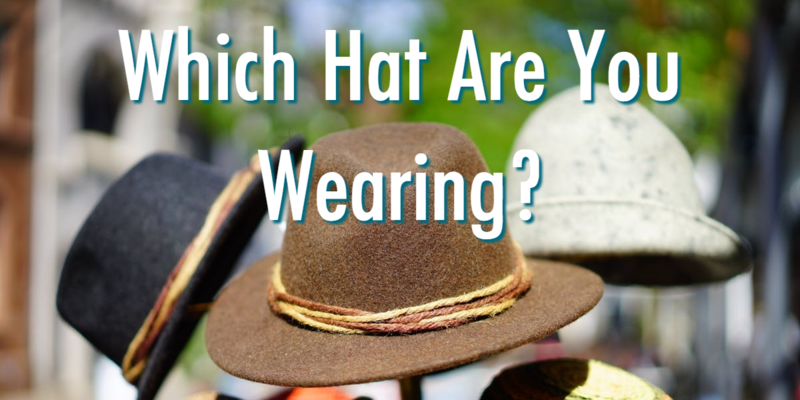 Their role while wearing each of these hats is very different and often misunderstood. Governance Hat – The Governance hat is what we most often think of when we think of board responsibilities. The governance role is the role assigned by the IRS to each board member of the organization. When wearing this hat, board members need to know that the IRS expects that they will be operating in the best interest of the public since the organization is benefiting from taxpayer dollars. You might say, no, we don’t receive any government assistance. The organization is still benefiting from tax dollars in the form of your exemption. In other words, if the organization did not exist, the IRS would be receiving additional tax revenues through the taxes you would pay on purchases and the tax revenues from individual tax payers who receive a tax deduction because of their donation to recognized tax exempt organizations. For these reasons, the IRS says the board is to be keepers of the public’s trust. As keeper of the public’s trust, there are three specific responsibilities. Duty of Care – Making the best decisions for the organization. This duty necessitates that you actively participate in the work of the board and make decisions using your best judgment. It also requires you to ask questions when you need more information to make decisions. Duty of Loyalty – Acting in the best interest for the organization. Quite often board members are involved in other organizations or have their own businesses; because we are all humans, we have extended relationships with other people and organizations outside of the board we are serving on. This is to be expected. But, when serving on the board, and making decisions on behalf of the organization, the board member needs to always look at what is in the best interest of the organization…putting aside other personal and business interests. Duty of Obedience – Staying true to the mission of the organization. This duty also requires that the board ensures that the organization is following all applicable and relevant, local, state and federal laws as well as the written policies of the organization. Ambassador Hat – When putting on the ambassador hat, board members need to know that they are representing the organization. They are the face of the XYZ Organization—this means that their actions, both positive and negative, can affect the public’s view of the organization. Thus, choose board members who operate with integrity. Volunteer Hat – Depending on the type of the organization, there may be opportunities for volunteering. Board members should be encouraged to volunteer with the understanding that when doing so they are the same as any other volunteer. In other words, there are no special perks because they are a board member, they report to staff and take direction in the same way others do. Volunteering is simply that….volunteering. As a volunteer, individuals have an opportunity to use their special gifts and talents to support the work of the organization. Just because someone is a great volunteer does not mean they will make a great board member. Volunteering and Governing are two different things. One of the best ways to build a strong organization is to lay a firm foundation that is built on an educated and active board of directors. Help your board to understand their roles and responsibilities so they can be the foundation you need them to be. Struggling with your board? Contact us today, we can help. Previous: Previous post: Who is Responsible for Financial Oversight?